The Vendio Store is a powerful eCommerce solution that provides you a branded presence online and an instant channel to promote your products. You can also easily manage items, orders, and customers all from one place. And it’s free. For ecommerce sellers who need a quick deployment and a free web store, this is a solution that can come in handy. While the store itself is free and sellers have a choice of many templates that are built in, nothing looks better than a professional web design for Vendio stores. 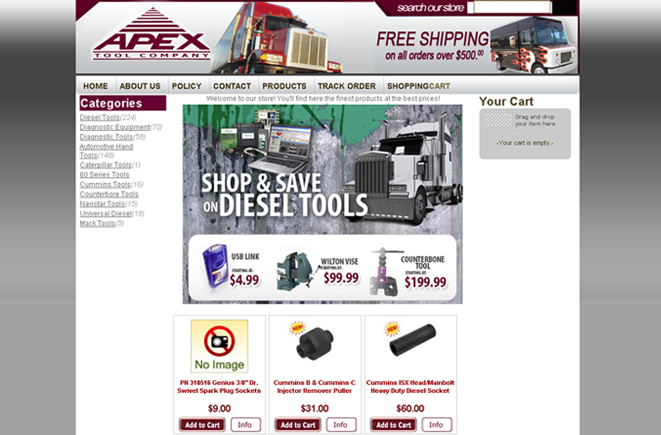 Check out our work for Apex Tools at Vendio Stores. Check out the Vendio stores here and contact us for a quote on your store design.